Once you’ve approved the work we’ve gone on your development domain, contact your local studio to schedule your website going live. It is vital your studio knows when you are planning to go live, changes will need to be made to our hosting infrastructure that you are unable to make. For the site to go live, we need to make some changes to the DNS settings and internal hosting infrastructure changes. 1) CNAME pointing to your current development site. 2) A record pointing to an IP address for the non-www. Please note: the IP address will change on each site, your local studio will know the IP address required for your site. Log into your domain registrar. The look, feel and terminology can be subtly different on every registrar. The following example is from 123-reg but includes common terminology or alternative names other registrars use. – 1 of either “www” or “*” for the CNAME, pointing at our system for your development domain. Your Nettl web design studio will also need to update your website domain and remove our “Just around the corner” page once the DNS changes are made, so always inform your local studio when putting a website live. Domain registrars, such as 123-reg, advise that it can take between 24 and 48 hours for DNS settings to fully finish updating (or propagating). While it can take this length of time for all browsers and devices to see the new website, you will normally be able to see the changes on some devices not long after the change is made. Mobile phones tend to update faster than desktops, so you can check the new site is running on your phone first. Your desktop and that of your regular visitors will take a longer to update than a new visitor because frequent visitors will have the old website saved in their browser memory (or cache). If you see the new website on your mobile or another device, you can rest assured that the new site is set up correctly and will show on all devices within the 48 hour period. If a nameserver is changed or if the domain is being transferred, it will take longer for any device even a mobile to start seeing the new website. DNS settings are used to ensure a domain is using the website that has been designed for it, but it can also be used for your emails. The MX records are used for emails, so we will not amend these. Some website building platforms use the A record or CNAME for emails as well, which is not best practice and causes problems when a new website platform is changed. If you’re using emails for the domain it is worth checking these still work afterwards, contact your local Nettl studio if you are no longer receiving emails. If you provide us details of your domain registrar, we may tell you that we actually need access to a different registrar or system. This is because your previous web design studio may have changed the registrar’s default nameservers to that of another system to suit their own internal processes. Without getting too technical, it’s the nameserver that controls which DNS settings are used. When you change a nameserver it will take a few hours for the change to take place, and you will lose all existing DNS settings. This makes it more likely that emails and third party services will go down. We prefer using the default registrar nameservers, but encourage leaving the nameservers where they are and not changing them in order to reduce complications going live. If your domain is being held by an external web design agency, they may recommend transfering the domain to another registrar. Transfering domains can take upto a week to take place, and it’s likely your domain will be inactive with your website down during the transfer. 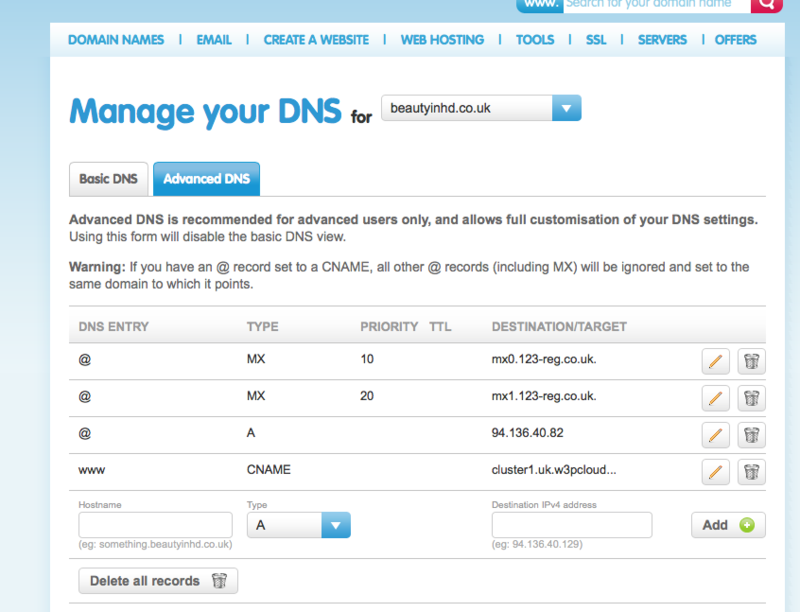 As such, we prefer to simply edit the DNS changes and not transfer the domain to avoid downtime for your domain. If necessary, we can transfer the domain but we’d advise against it for your benefit.